Omer Gozen leads the New Materials and Packaging vertical globally at Plug and Play, a venture capital (VC) firm based in Silicon Valley, USA that operates in 30+ locations worldwide in 14 major industries with more than 10,000 startups in its ecosystem. Omer wears multiple hats in Plug and Play, which is the largest global innovation platform. 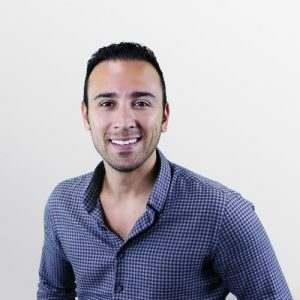 He and his team assist Fortune 500 corporations in their efforts in organic/inorganic growth, investment opportunities and digital transformation (internal business priorities, challenges) by connecting them to disruptive startup companies. He is also a board member and responsible for the global expansion strategy. Prior to joining Plug and Play, Omer worked in R&D at Bridgestone Americas and held a variety of business roles at Owens Corning. He has a B.S. degree in chemical engineering degree (BS) from Bogazici University and M.S., Ph.D., post-doctorate degrees in nanotechnology, polymer physics and materials science from North Carolina State University and an MBA degree from the University of Michigan.